Utilizing domestic and overseas factories and also resources of technical division, we consistently perform development, design, trial production, material procurement and production of flash units, video lights and waterproof camera cases (housings) which are the accessories used for photography equipment such as cameras and videos. In our PIA business, we offer services with good faith in cooperation with customers and distributors at each stage of marketing, product planning, design & development, trial production and mass production. Also we are ready to flexibly consider the request of small quantity large variety production or request of cost down since we have the advantage of having choice of production base depends on details of each products. We shall meet customer’s trust with established efficient logistic system and thorough quality control system. We, Tocad Energy Co., Ltd., shall practice our management philosophy 「We create the earth-friendly future with clean energy.」, and also　promote the practical conduct of CSR management to secure the trust and support of society in order to continually develop our businesses. 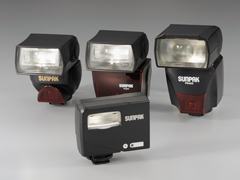 Professional-use, high-performance flash units, video lights, camera accessories, various replacement batteries, etc. 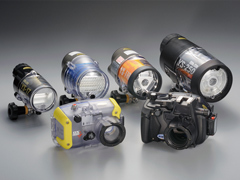 High-performance flashlight for underwater use, waterproof cases, camera accessories, various replacement batteries, etc. 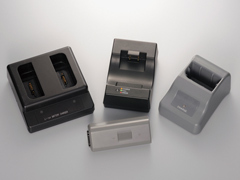 AC adaptor, switching adaptor, charger for rechargeable batteries, DC micromotors, and various rechargeable batteries, etc. We respond to customer requests with the world’s best standard battery pack technology using 3-dimensional CAD and analysis infrastructure. Our device engineers are developing creative and unique products using new technologies for all types of battery pack and peripheral products. We fabricate samples on a dedicated line for trial production and validate the modeling using mockups with short delivery times. We try to shorten the overall delivery period by extracting and resolving problems at an early stage of product development. We operate various evaluation and test facilities and carry out safety and reliability tests on battery packs and peripheral products. We procure a wide range of parts and molds by taking full advantage of our procurement functions both inside and outside Japan. We take full advantage of our high-quality, highly efficient production systems via our system for thorough process improvement (TEI=TOCAD ENERGY Innovation system). We strive for true customer satisfaction with ambitions for perfection. We provide optimal solutions for all kinds of customer requests through our production organization centered in Japan, China, and Asia. We cope with requests for small-lot, multi-product types flexibly using our advanced production engineering capabilities and cell production system. We have systematically controlled the management functions of engineering information such as domestic and overseas safety standards for control and certification support. This helps us handle changing legal regulations and standards more promptly and precisely. As employees of an ISO14001-certified company, all of us within TOCAD ENERGY think and act independently to improve the environment preservation activities for the processes within our operations and for the products we produce and sell.